Серверная плата Intel® S2600COE SSI EEB 12" x 13"
Серверная плата Intel® S2600COE (1) Intel® Server Board S2600COE and Attention document. Below items are included In Disti 5 Pack ony: I/O shield, cables, configuration labels, Intel® Server Deployment & Management DVD, Quick Start User’s Guide. 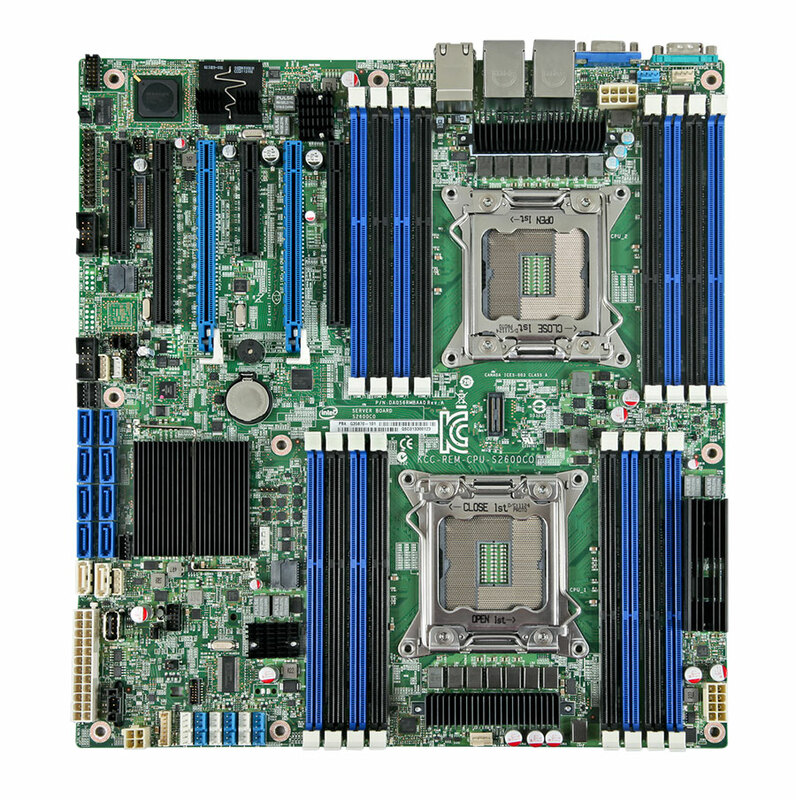 Серверная плата Intel® S2600COE Extreme Server supporting two Intel® Xeon® processor E5-2600 family up to 150W and 16 DIMMs with four 1Gb Ethernet ports and Firewire.